Are you moving to a new city or a new area of a city you already live in? Do you know where the best schools are? Busy streets to avoid? If you are thinking about renting a condo or home, you may want to consider enlisting the help of a real estate agent. Real estate agents can help you identify properties that meet your needs (one with a driveway, backyard or easy access to transit), while identifying any potential pitfalls of a neighborhood or area. 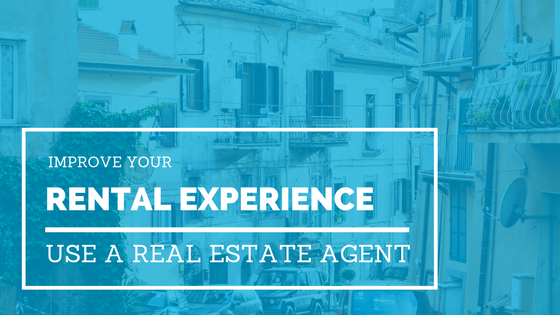 In addition, many homeowners are now using agents to facilitate their home rental. They may enlist the assistance of a real estate agent to help screen potential renters and have them organize showings of the property. To see these properties it is best if you have an agent that can organize a time for you to see the space and can provide you with unbiased advice about what you have seen. Real estate agents can also ensure you are paying a market acceptable amount for a property by negotiating rental agreements. The rental unit owner covers agent fees. The landlord who lists his property with the listing brokerage has agreed to an upfront commission to be shared with the listing brokerage and co-operating. Using a real estate agent can help you start building a foundation with someone that you may want to use again in the future for another rental or when looking to purchase a home. Having an agent who helps you find a place to rent can open doors to new properties, and can also help you find a hidden gem rental that you may have not noticed on your own. What is the value of a local specialist? What questions should I ask when looking for the perfect Neighbourhood?